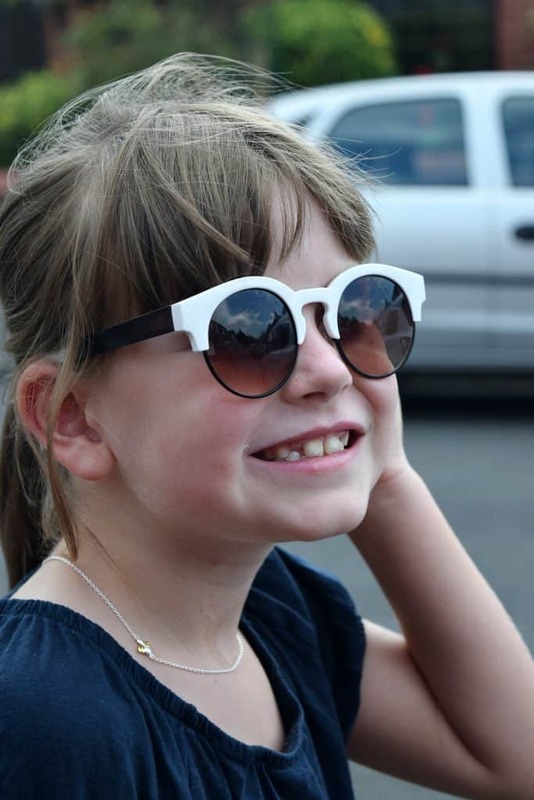 Molly Brown London is a British brand selling beautiful, modern children’s jewellery. This isn’t jewellery to give a baby for their christening or as a special baby shower gift, only for it to be put away and never to be seen again this is jewellery to be enjoyed and worn. Molly Brown London believe that their jewellery should represent good quality British luxury. Neither too young nor too grown up in design, their simple, sophisticated pieces grow with their owners making them the perfect gift for any occasion. 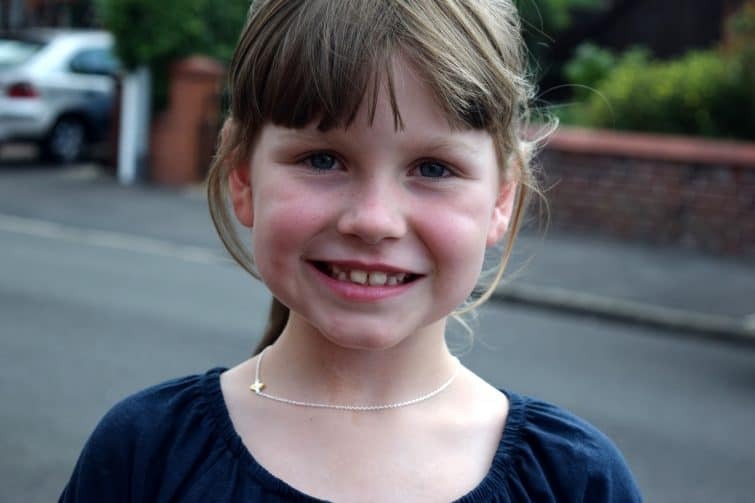 For Chloe’s 7th birthday, I chose the Molly Brown London Honey Bee necklace. 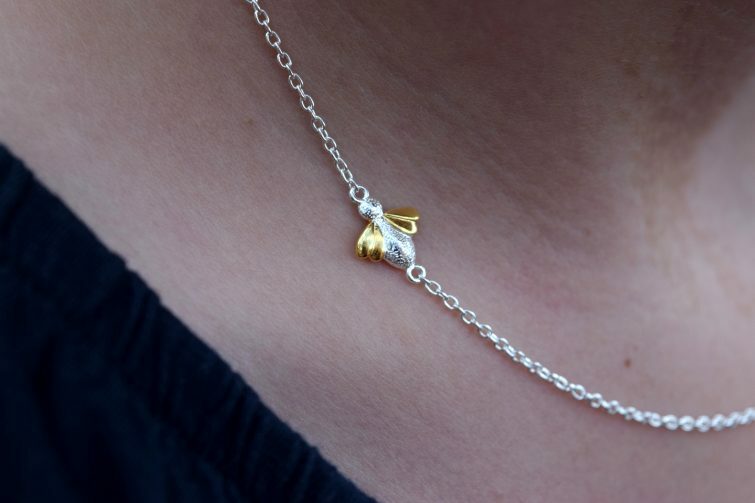 Made from sterling silver and 9ct gold vermeil, this cute little honey bee instantly caught my eye when I was browsing the site. 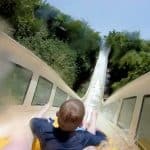 I think in part due to Manchester’s traditional connections with the bee but also because it was something a little different, something a little quirky. (In fairness, the Molly Brown London collection of children’s necklaces is far from twee and traditional). I adore the way the dainty bee sits just up her neck rather than dangling straight in front of her as a traditional pendent would. 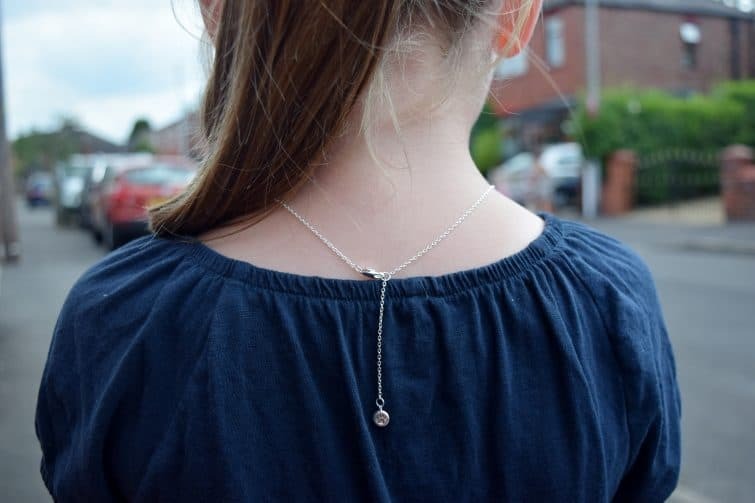 One of the things I love most about the Molly Brown London jewellery range is that it is all designed to grow with your child – so the 16″ sterling silver chain on Chloe’s necklace has two places to fasten it, one which fits perfectly now, leaving a pretty little chain detail at the back (with the paw print hallmark) or another position to extend it out for when she’s bigger. I would previously not have wanted to invest in jewellery for a young child for fear of them quickly outgrowing it and it not being worn, however knowing that this beautiful necklace can be worn for special occasion after special occasion brings the old “cost per wear” down quite considerably! As you can see, Chloe loves her new Molly Brown London necklace, and we’ll definitely be bearing them in mind next time we need a special present!